"I need more than potential to sell records." 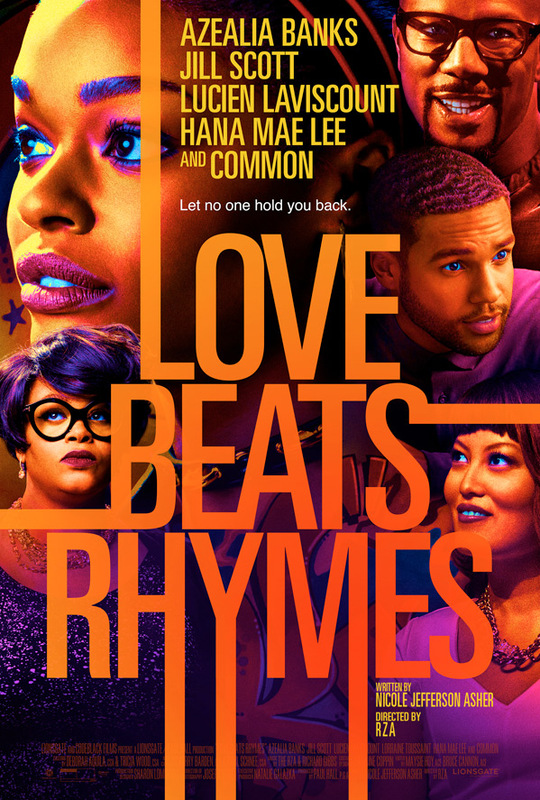 Lionsgate has released the first official trailer for the new film directed by RZA titled Love Beats Rhymes, a musical drama about a struggling rapper who turns to slam poetry. Azealia Banks plays Coco, who takes a poetry class and tries to impress her teacher with her rhymes. Instead, she learns to dig deeper and discovers her "true voice." This film also stars Hana Mae Lee, Method Man, John David Washington, Common, Lorraine Toussaint, Lucien Laviscount, and Jill Scott and Professor Dixon. This reminds me of the film festival hit Bodied, about rapping, but it also seems to have its own nice vibe to it that might make for good entertainment and creative inspiration. When struggling rapper Coco (Azealia Banks) enrolls in a poetry class, she thinks her rhymes will impress her teacher, Professor Dixon (Jill Scott). Instead, Dixon challenges Coco to seek real meaning in her lyrics, setting her on a journey of discovery that takes her through rap clubs and poetry slams, leading her to find her true voice — and true love — in this uplifting movie costarring Lucien Laviscount and Common. Love Beats Rhymes is directed by American musician/filmmaker RZA, director of The Man with the Iron Fists previously. The screenplay is written by Nicole Jefferson Asher. Lionsgate will release RZA's Love Beats Rhymes in select theaters + on VOD starting December 1st this fall. Thoughts? Who's interested?